the termination of the relationship and ancillary matters including divorce, annulment, property settlements, spousal support, , child custody, parenting time, visitation, and child support. 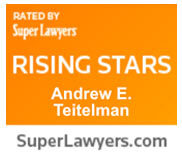 Andrew Teitelman has been named a Rising Star in the area of family law by Super Lawyers 6 years in a row! 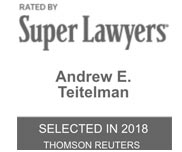 Andrew Teitelman has decades of experience providing comprehensive family law counsel. Discuss your case by calling 503-659-1978.